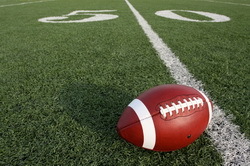 Football is one of the most popular sports in the world. The excitement and thrill of a live football match is unmatchable as you sit in the spectators and witnesses all your favorite football players live in action. Now, we give you a chance to have this experience as the Dallas Cowboysare coming to your city for a series of games loaded with intense competition, rivalry and excitement. The Dallas Cowboys are one of the most popular football teams in the United States have has a tremendous amount of fan following all over the world. If you are one of their fans, then you are in for a treat. Get a move on and grab the best Dallas Cowboys tickets from us right away before we run out of the best deals! The Dallas Cowboys are part of the Eastern Division of the NFC (National Football Conference) in the NFL (National Football League). They belong to Dallas, Texas, United States and have their head quarters in Valley Ranch in Irving, Texas, United States. Their home stadium is the Cowboys Stadium in Arlington, Texas, where the team plays its home games. The team was founded in the year 1960. They have Danny White as their starting quarterback in the year 1980 after the retirement of their former quarterback, Roger Stabach. Under the leadership of Danny White, the made it into the play off game five times. In addition to this, they won two Division titles. They also made it into the final game of the National Football Conference three times in a row. Despite this success, they team did not manage to get into the Super Bowl Championship during the 80s. Shortly afterward, the DallasCowboys were bought out from Clint Murchison by H. R. Bright in the year 1984. When the Dallas Cowboys were formed, they were part of the National Football League, but were an expansion team. They made a record for selling out home games in the National Football League, gaining a large amount of fan following all over the country. They sold out one hundred and sixty games, which is a staggering amount. The team also has one of the two records for the most number of appearances in the Super Bowl Championship. The only other team which matches this are the Pittsburgh Steelers. Another record made by the Dallas Cowboys is that they played twenty winning seasons in a row, from the year 1966 to the year 1985. They are the only team in the National Football League to achieve this. The team has been listed as the highest valued sports franchise in the history of the nation according to Forbes Magazine. In addition to this, they are also the richest team in the National Football League and generate a tremendous amount of revenue in a year. The Dallas Cowboys have white, navy blue, metallic silver blue, and royal blue as their current team colors. Their mascot is named Rowdy. They have Jason Jones as their head coach, with Jerry Jones being their president as well as owner. The team has several nicknames which their fans call them by including, Big D, The Boys, Doomsday Defense, America's Team and many more as well. The Dallas Cowboys have won countless championships over the course of their history including five League championships, five Super Bowl titles, ten Conference titles, twenty one National Football League titles, twenty one Division championships, and various more as well. Some of the most talented players in their current line up include Phillip Tanner, Felix Jones, Tony Romo, Kyle Orton, Stephen McGee, Lawrence Vickers and several others as well. Now, the Dallas Cowboys are ready to bring on their best game in the upcoming season and you better not miss these incredible matches. Hurry up and grab your Dallas Cowboys tickets only from us and get ready to have the football experience of your life! As the name suggests, the team is based in Dallas. This talented team of footballers established during the sixties and since then it is become a hot favorite among football fanatics. They play for the Eastern Division of the NFC, and play their home games at the Cowboys Stadium in Arlington. They joined the NFL as an expansion team way back in 1960. Their team colors are royal blue, white, silver, navy, metallic silver and blue. They have set the record for winning the most number of NFC Championships, so book your NFL preseason Dallas cowboys tickets and have cheer for your favorite team from the stands. Q:I heard you sell cheap cowboys tickets. Is that true? A:Yes, we do sell cheap dallas cowboys Tickets. You can look through our page for details and order today! Q:What can i get with dallas cowboys tickets promotion code? A:You can get instant discount on your dallas cowboys Tickets with the promotion code. Q:Please can you tell me the procedure for ordering dallas cowboys tickets online? A:The procedure for ordering dallas cowboys Tickets is mentioned on our website, please check it out and place your order. Q:I heard you have Dallas Cowbays Tickets For Sale. Do they also come at cheap rates? A:Dallas Cowboys Tickets available on our website come at cheap and affordable rates. You can look through our page for details and order your share of the tickets from there. Q:Can You Give Me The Dallas Cowboys Football Schedule? A:Yes sure. It is mentioned on the page of Dallas Cowboys Tickets, you can have it from there.